We are providing a wide range of OTDR Measuring Instruments which are appreciated by our clients owing to their accuracy in performance and consistency in output. These OTDR Measuring Instruments are procured by our expert procuring agents from trusted vendors. The SmartOTDR essential handheld fiber tester is an affordable, easy-to-use device for techs at any level with robust wireless connectivity options that increase productivity anywhere. 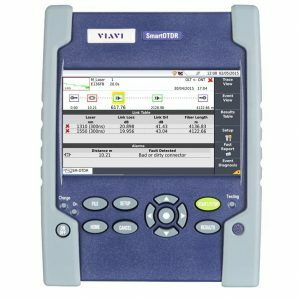 It integrates all the essential fiber test requirements into a single device with OTDR measurement, fiber end face analysis, optical loss testing and visual fault locator. 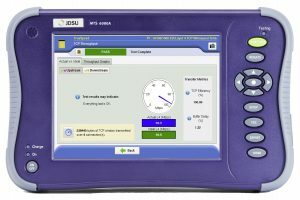 T-BERD/MTS 6000A is a compact and lightweight test platform designed for all phases of network lifecycle from the installation to the maintenance of fiber networks. Modular in design, the T-BERD/MTS 6000A offers an extensive portfolio of test functionality for multiple network layers.